AKA, this is what we do with our leftovers! 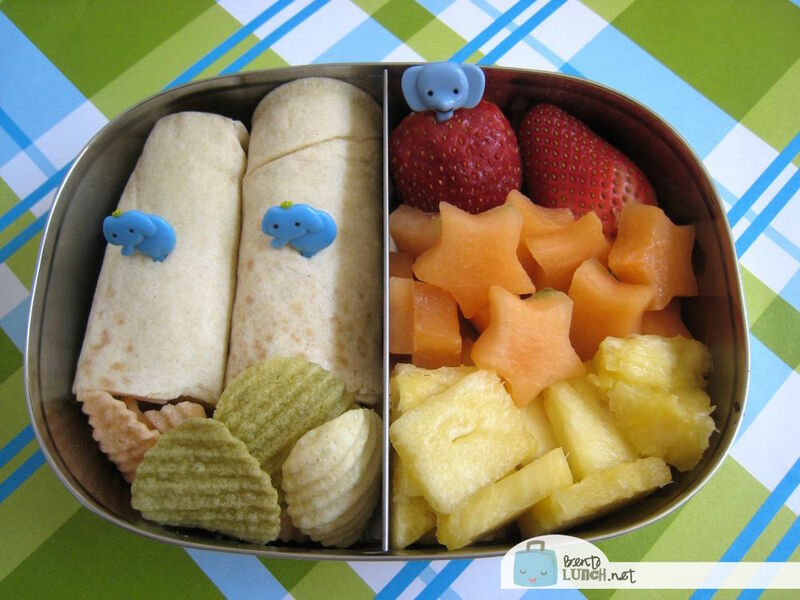 Mr. Ben has an alfredo chicken wrap, topped with his Peanut picks, some of his favorite veggie chips (the green ones are his most favorite), and some freshly cut fruit--strawberries, pineapple and cantaloupe stars! Lunch is packed in a Lunchbots Duo container. Thank you for the wonderful idea. My son loves chicken alfredo and wraps, but I never thought to put them together - I can't wait until I make chicken alfredo again, boy do I have a surprise for him!!! Thank you for all of your wonderful ideas that you give the rest of us Momma's! Chicken Alfredo wraps sound delicious...! And I love those elephant food picks:).